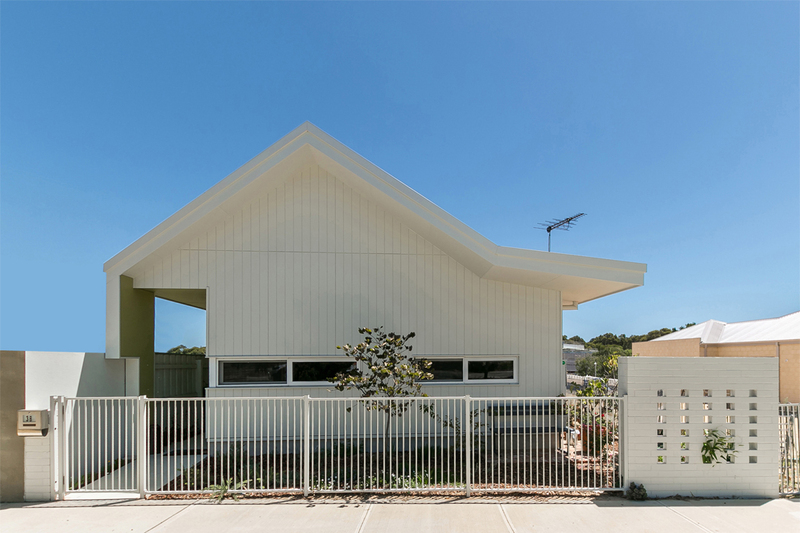 Less is certainly more when it comes to this compact, single-storey residence. 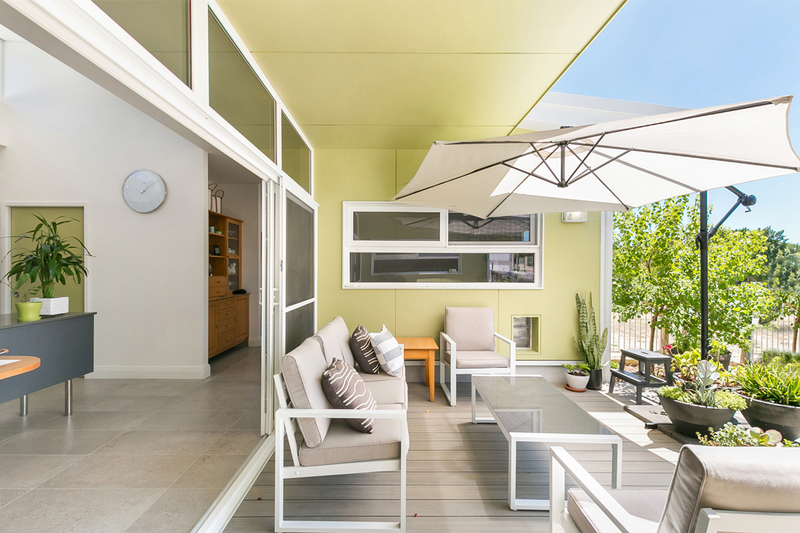 Designed by architect Michelle Blakeley and constructed by ISMART Building Group, the home makes the most of its 272m² block, with every inch of available space put to good use. Located in White Gum Valley, the dwelling showcases a modest and neat frontage that blends well with the older homes in the suburb. Unlike many traditional designs, the skillion roof extends over the northern façade rather than the rear of the home, which creates a wide eave that blocks direct summer sunlight. Featuring an abundance of ribbon windows, the interior is bright and airy. 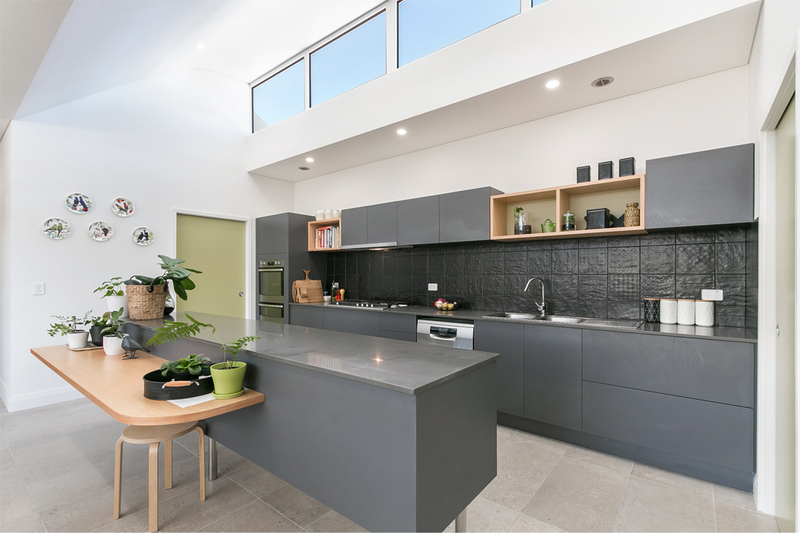 Joined with sliding glass doors, the galley-style kitchen and north-facing courtyard form the fulcrum of the home, from which the living and dining spaces flow. Separate sleeping zones are located at opposite ends of the house for increased privacy. The uncluttered floor plan eliminates inefficient design elements such as hallways without sacrificing comfort or space. Complete with generous-sized bathrooms, a home office, and a bedroom suite with a kitchenette, as well as a separate entrance for the homeowners’ teenage daughter, the home features all the necessary inclusions for luxurious contemporary living. Adhering to German Passivhaus design principles, the home has an impressive 8.3-star rating for energy efficiency. ISMART Building Group is a one-stop shop for your next building project. The company works with your emerging concept or with your architect’s drawings to help turn your dream home into reality. From the very first steps to the handover of your comfortable, sustainable and healthy abode, the dedicated team manage the entire consultancy, design and planning process. The company’s bespoke building system gives you the opportunity to choose from any style, shape and finish to create your ideal home. Unlike standard modular systems, ISMART Building Group’s design options are virtually limitless and apply to residential and commercial single- and multi-storey projects. Striving to create affordable, high-quality homes that last for generations, ISMART Building Group is dedicated to making a difference in the way people think about sustainable, ethical building.